Monckton law firm is a professional and an experienced law firm offering its services to the residents and visitors of Myrtle Beach, South Carolina. Committed to offering dedicated client service, the firm aims to help anyone facing any sort of criminal charges in the region. Their target market of clients includes businessmen, residents, visitors (residents of other states), students, and other young kids who get caught up in juvenile crimes. Monckton law firm takes care of cases such as criminal activities and/or small violations of law at the federal as well as state level. They also handle white collar and violence crimes in the state. Violation of crimes in the state include facing academic discipline case in a university or college, driving license suspension, other problems faced while attempting to gain licenses e.g. business venture licensure, and asset forfeiture. The firm works with the aim of protecting their client from the worst possible outcomes and giving relaxation to them at economical cost. With the level of experience of Monckton law firm in the field of criminal justice, the firm mostly gets their clients community service punishment. In serious cases where the client is proven guilty, Monckton law firm tries their best to ensure that the accused accepts their mistake, apologizes and faces minimum punishment. Lawyers at Monckton law firm are specialized and experienced to handle criminal trials and ensure that the client walks away with the least punishment ensuring that their client will not commit the crime again. Several of the listed attorneys at Monckton Law firm have experience in their field for more than a decade with a record of winning cases. Monckton law firm also offers their clients free of cost advice in the initial phase of the case. They guide the client properly how to put forth their case in the court and ensure minimum damage.  Q:Could you give me an overview of accident litigation at the Monckton Law Firm? A:Yes, Monckton Law Firm has an impressive record in accident litigation. The lawyers at Monckton law firm deal with auto accidents, work related injuries, burn injuries, brain injuries, denied insurance claims, maritime accidents, construction accidents and premises liability. Monckton offers free initial consultation and also provides round the clock 24/7 access for clients to discuss their issues. The firm also deals extensively in criminal defense cases. Q:How many attorneys are employed at Monckton law firm? A:The Monckton law firm employs three full time attorneys who have extensive experience in criminal defense and accident litigation. The attorneys working at Monckton law firm are Francis A.Humphries Jr, William H. Monckton VI and Dean N. Murredu. The attorneys at Monckton law firm have a combined experience of more than 30 years of experience in litigation and criminal defense and have helped a number of clients with their legal issues.